Designing is an excellent way to express our feelings by creating art. Art affects our life. It innovates and inspires us to be more specifically creative at something. As always, we make art for what we feel in our hearts or what we see in our imagination. Mood, feel, and imagination is the prime factors in designing. Of course, artists create art with fun. Enthusiasts work hard on their designs putting strokes with feelings. 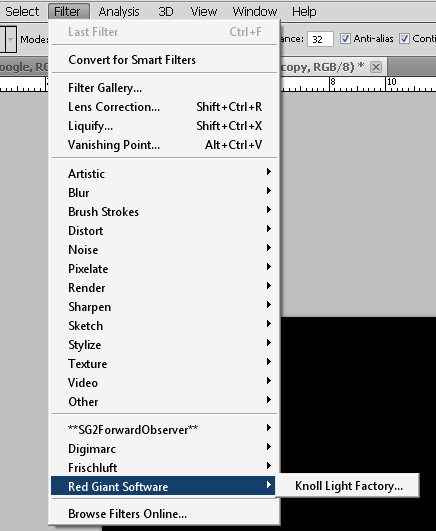 Adobe Photoshop is a great tool for Frischluft, enhancing, and manipulating photos. Of course, you can buy it or with a trial. I have designed and edited several photos of mine, and gratefully, I learned more and more great lessons concerning designs or art. Well, I usually make fun of myself too. I ridiculed my photos to make it funnier. Having a DSLR is a great edge of advantage. For now, I just have to stick with the software to enhance and edit pictures. Probably, you might know these plugins. I made this post, for the benefits of the designers. To solve that problem, third-party companies make great and cool plugins for the enthusiasts' convenience. 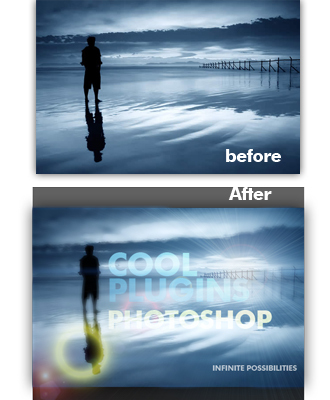 This is a great plugin; it will essentially simulate effects similar with the high-end DSLRs. Lenscare moves depth of field and out of focus generation to post production. If you need high quality camera blurs with the flexibility of 2d post processing, Lenscare is a great choice. It can get you rid of long extra 3d rendering times. Depth of FieldDepth of field effects (dof) happen in all real optical devices to a certain extent. It is heavily used in photography and film as a style element. In computer graphics dof is usually generated using ray tracing techniques which increase rendering times considerably. The depth of field plugin generates those fast as a post process. It needs a depth buffer for its calculations. Out of Focus'Out of Focus' is a fast version that works without depth information. 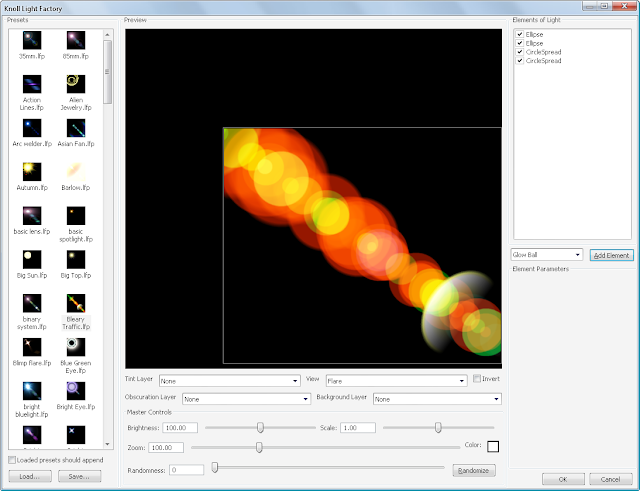 It creates a blur with constant radius over the complete image and is a good complement to 'Depth of Field'. It offers some extra functionality as well. It's possible to use a custom drawn lens in addition to the generateable ones. 'Out of Focus' also offers background distortion for semi transparent area. Remember, Michael Bay's light flares in Transformers? You can make it with this plugin. Created by John Knoll, Photoshop co-creator and Star Wars effects guru, Knoll Light Factory is one of the industry's most popular motion graphics tools. It is most famous for its high-fidelity simulations of light effects called flares, which simulate reflections from a very bright light source as seen through a camera's lens. Knoll Light Factory is Hollywood's go-to tool for adding interest to text or logos or extra pop to FX explosions. 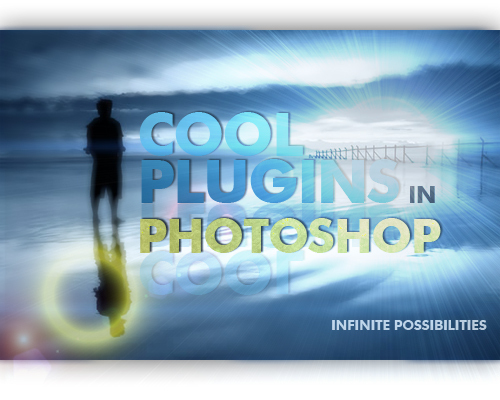 Now includes CS5/64 bit compatibility, new custom flares, Knoll 3D Flare and a new Lens Designer for Adobe CS5 users. You can add some cool light flares! | Lenscare is now available from the Photoshop filters menu. | and select the key file. Has to be done only once. EasyHits4u Make money, get traffic for FREE. No limits to surf and earn! HOW TO: Remove Facebook Recommendation Box's Border? [Solved] HOW TO: Download and Save Slideshare Presentations That is Disabled by the Author?